Microsoft has been always very competitive in term of app provision and recently, things are not so different. 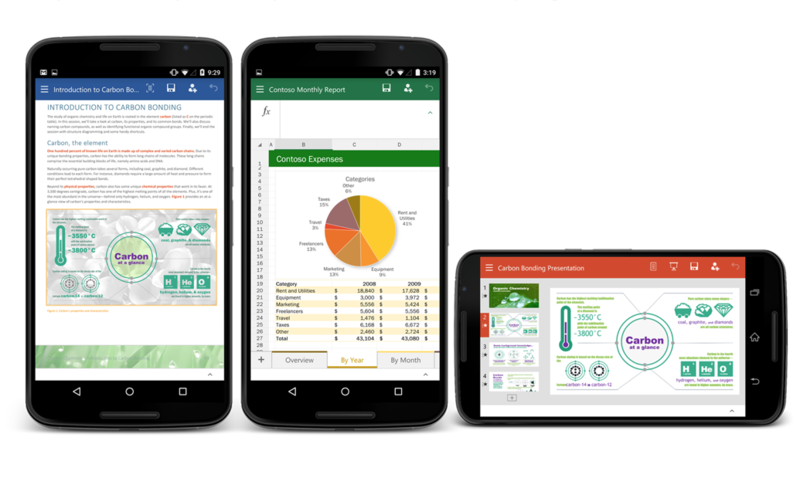 Microsoft has rolled out previews of Microsoft Word, Excel and PowerPoint to the Google Play Store that Android users can now benefit from. The mobile versions of the MS Office apps mentioned above does not replace their full fledged desktop versions but would still contribute to enhanced productivity for Office and academical use. In January, Microsoft released a Office for Android Tablets, which by name were restricted to the tablet field alone and could not be moved over to smartphones. However, with this change, users will now be able to view and edit their files on the go. The Tablet versions of applications will be replaced by newer ones, because new is always good. However, users have to wait until the final versions ripen. Lets see an in depth view of the recently released previews on the Google Play Store. You will see a consistent UI in the tablet version of Office applications with ribbon functionality still intact. For corporate use, you can now comment on the collaborative files. This feature pretty much reminds us of the Dropbox update that took place a few weeks ago. Cloud Storage such as Google Drive and Dropbox are integrated to the Office apps so you can extract the files you need and save them spontaneously on your account. Only the Office 360 subscribers can benefit from a wide variety of features, nonetheless if you are not subscribed, you can still view and edit your files easily. Microsoft has also made some changes to the app in the mobile versions like the tabs in Excess have been moved to the bottom so users can easily grasp them. 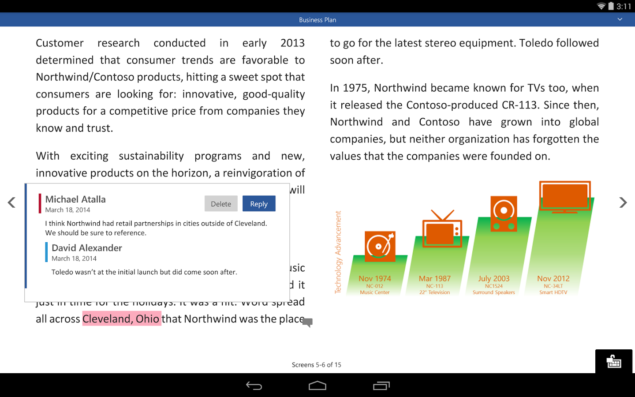 Changes among the Word includes reading mode formats with just a button. The previews are fresh so they might have some bugs within which might be gone as Microsoft advances forward with the update. You can download the preview versions of Microsoft Word, Excel and PowerPoint right now. All you need to do is go to the Office Android Preview Google+ and be a part of their community. Next you must go to the testing page in Play Store for the Word, PowerPoint and Excel and agree to the terms that you are now a tester. After this, download links will be pop up. Do take note that you need a KitKat or above OS to to do this. If you downloaded them successfully, let us know how you liked them. Stay tuned for more new and guides.